In this quiet and quaint coastal town of Osprey, nestled between downtown Sarasota and Venice, a sliver of paradise awaits. With immediate access to the intracoastal, you will delight in the lifestyle offered at these Blackburn Harbor Waterfront Villas. This fabulously-appointed corner unit and ground floor Villa stirs up a sense of happiness the minute you walk in. 2006 construction, you feel the solid construction and admire the finishes throughout this 2 bedroom condo. Solid wood cabinetry, newer appliances, granite tops, bright and light. Eyes are drawn to the large screened lanai that has wonderful water views and a wide open park beyond. 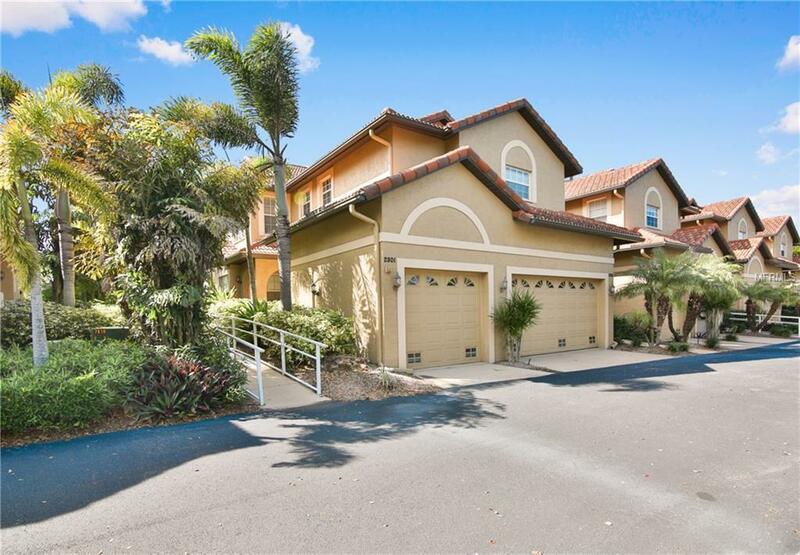 Meander all around the completed gated community appreciating lush and well-manicured grounds on a foot path throughout the entire complex. Encounter friendly faces by the heated pool, tennis courts and fitness center, as well as it being a hot spot for bird watching and simple tranquility. No bridges to the intracoastal, deep water. Brand new carpet in both large bedrooms just installed this week. Park out of the sun in the attached private garage. Whether you're a boater or just enjoy the sounds of nature, Blackburn Harbor is fantastic. Minutes to Nokomis Beach; Oscar Scherer State Park; a 15 minute drive to Downtown Sarasota. Casey Key Fish House and Rosebuds Steak & Seafood House are just a few of the local favorite hot spots just minutes away.